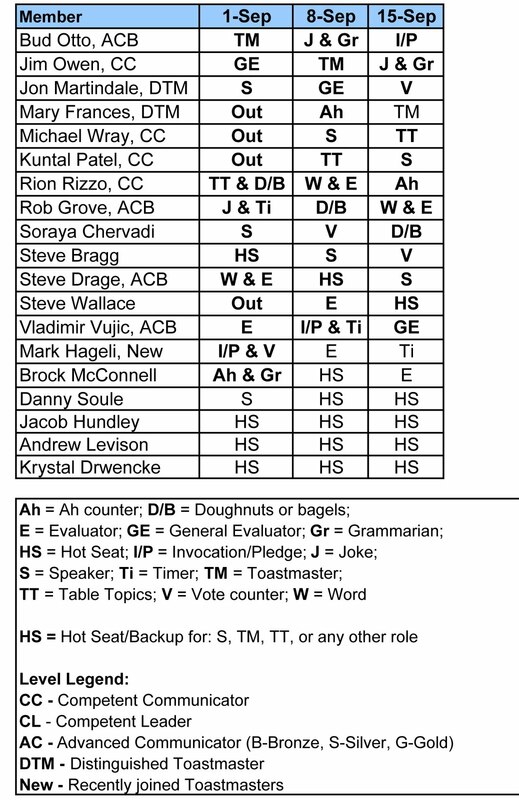 Here are our Toastmaster role assignments for the upcoming week's meeting. 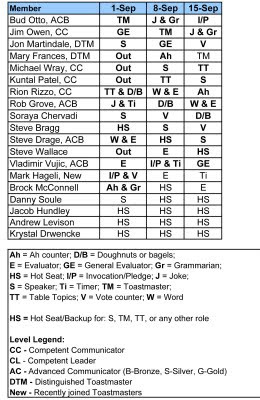 As always, please be sure to let the Toastmaster (this week Bud Otto) know of your availability to fulfill your duties with either a phone call or email. We have several people who will not be able to make it this week, so each person's attendance is all the more important, as several of us have multiple roles. We had a great meeting last week, we all look forward to working on our presentation skills again this Thursday. See you there!